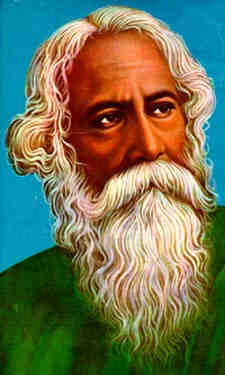 Ravindranath Tagore Jayanti celebrates the birthday of Tagore, one of India’s noblest sons. He is internationally reputed as India’s first Nobel Prize winner, a revolutionary thinker and philosopher, a devoted educationist and a musician par excellence. Born in his hometown of Kolkata on the 7th of May, in 1861, he has been given the epithet of Gurudev, a reflection of the high esteem he is held in by thousands all over the country. The festival, now a distinctive part of the city’s cultural identity, is a platform for budding artistes and is marked by a number of cultural shows and performances throughout Kolkata and other parts of West Bengal. Performances of Rabeendra Sangeet, the genre of music developed by Tagore that combines classical music and Bengali folk music, is an integral feature of the festival. Artistes are tested, extended patronage to and celebrated on this occasion.